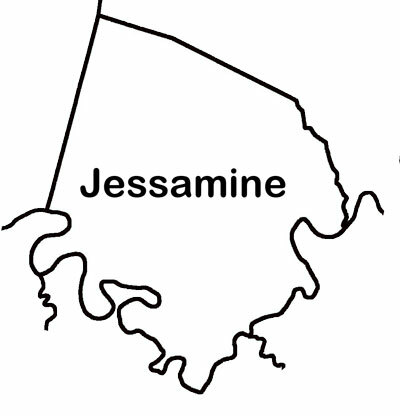 What may be the biggest change for Jessamine Countians is our Congressional representation. Presently, we are represented by Congressman Ben Chandler (D,Versailles). A proposal by House Speaker Greg Stumbo (D, Prestonsburg) would shift Jessamine County into Rep. Brett Guthrie's Second District while Senate Republicans have suggested moving Jessamine County in Rep. Hal Rogers' Fifth District. Both Guthrie and Rogers are Republicans. Check out this map (PDF) from kentucky.com that shows the proposed maps. The heart of the Second District is Bowling Green. In the Fifth District, it is Pikeville. 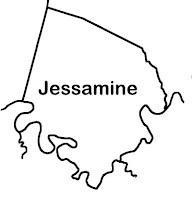 Rep. Damron was quoted as saying that Jessamine is "a 6th-district Congress district." I couldn't agree more and I don't think anyone in Jessamine County would argue against the importance of our connectivity with Lexington. Having a Congressperson who understands the importance of Jessamine-Fayette relations and issues is an important part of representing Jessamine. Someone from Bowling Green or Somerset might not understand this importance. 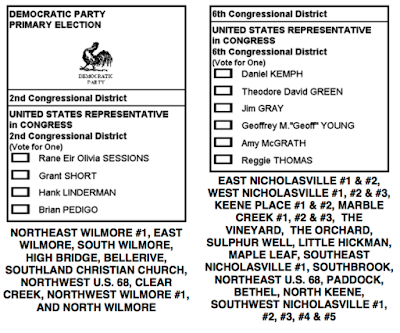 Jessamine County Democrats should stand strong with those who seek to keep the Sixth Congressional District as the "Central Kentucky District," inclusive of Jessamine County.